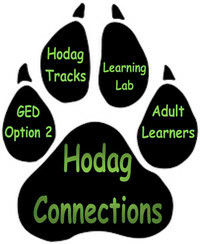 Hodag Connections offers individual learning opportunities within the School District of Rhinelander. It gives students in 4K through grade 12 the opportunity for flexible schedules along with curriculum choices. A homeschool family that would like to enroll in the district, but continue to work with their student(s) at home. The student requires a differentiated or accelerated learning environment. The student needs to make up credit, due to failing a course that is required for graduation.